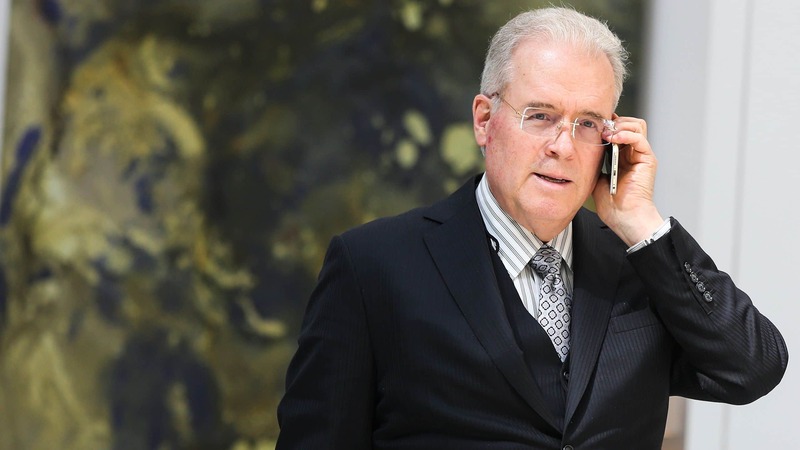 Money man: U.S. billionaire Robert Mercer helped Trump win the presidency — but what does he really want? 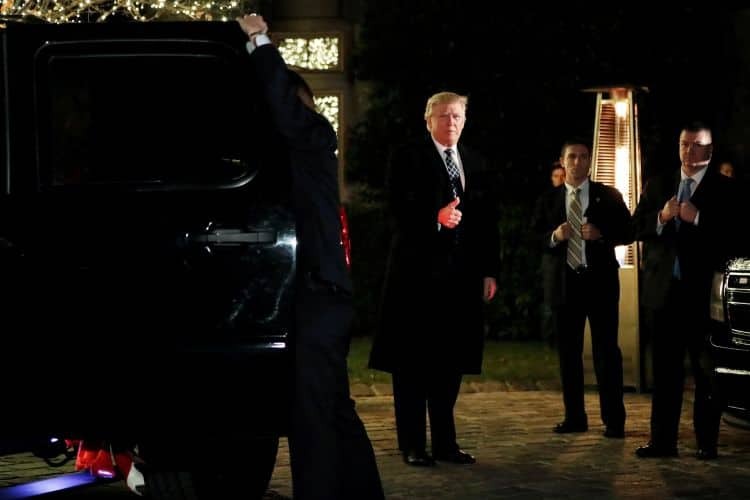 The day after U.S. President Donald Trump learned that a gossipy White House tell-all included quotes that his son was “treasonous” and his daughter “dumb as a brick," Trump&apos;s mysterious billionaire backers Robert and Rebekah Mercer did a very rare thing and publicly fired back. Rebekah Mercer issued a statement about Trump’s former strategist and Mercer family friend Steve Bannon — the source of the offending comments — that sawed him off like a gangrenous limb. “My family and I have not communicated with Steve Bannon in many months, and have provided no financial support to his political agenda, nor do we support his recent actions and statements,” it said. Five days later, Bannon was fired from his perch at the top of Breitbart News, where Rebekah Mercer is a shareholder. Most of the commentary that followed focused on whether the Bannon-Trump collaboration was well and truly over. 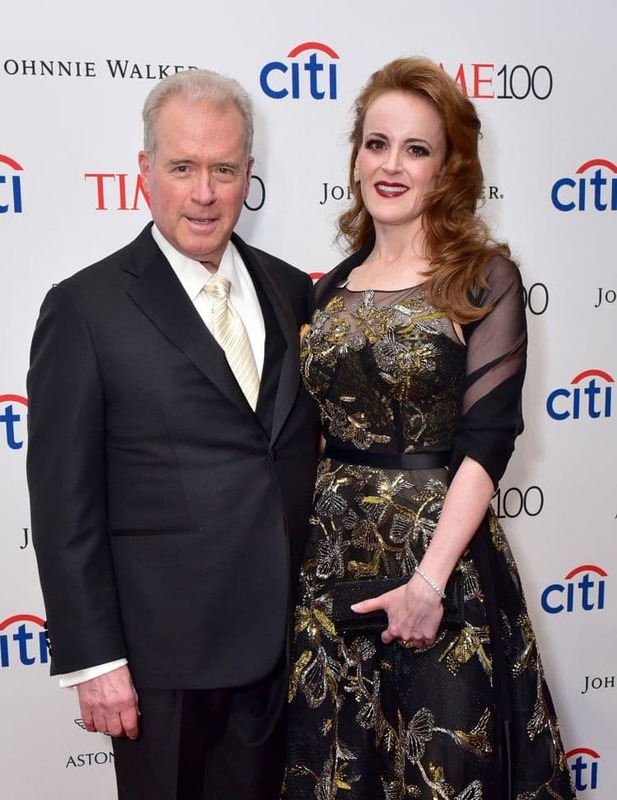 Less attention was given to the news that the Mercers’ estrangement from Bannon had actually begun months earlier, and that this might be the more consequential breakup. It seems that a year after Trump&apos;s election, their association with Bannon had become an embarrassment for them. Seen from a distance, Mercer can appear like a Bond movie villain. A computer scientist-turned hedge fund billionaire, he is reclusive and taciturn. He does not do interviews. 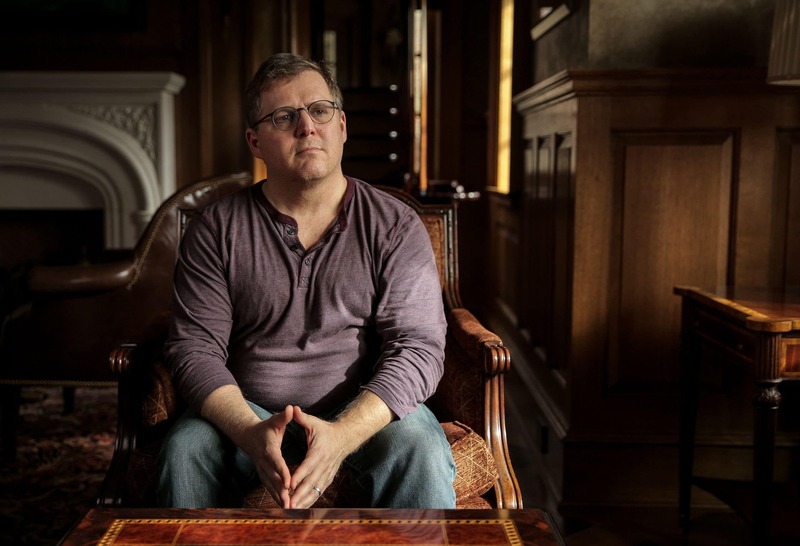 He stays out of sight sailing the world in his luxurious, high-tech super yacht, Sea Owl, or holed up in his Long Island estate, Owl’s Nest, while plotting the political transformation of America. Mercer barely talks to anyone. Trump once joked at a party that the longest conversation he’s ever had with “Bob” was just “two words.” That’s an anecdote from Jane Mayer’s 2017 profile of Mercer in The New Yorker, which, like most of what’s been written about him, was based on evidence from people such as Magerman. Magerman is a multi-millionaire — the lower nine-figure range, he said — who, like many employees at Renaissance Technologies, became rich through his relationship with Mercer. Unlike most of them, Magerman is not afraid to be publicly critical of how Mercer has used his money in politics. Mercer’s fortune and Bannon’s media instincts combined with a shared ideology to produce the anti-liberal, anti-Clinton ecosystem that includes Breitbart, the conservative non-profit Citizens United, the book Clinton Cash and much more. Together, they oversaw the data analysis company Cambridge Analytica, whose impact on the UK’s Brexit referendum and the 2016 U.S. election remain troublesomely murky. For a long time, even Magerman didn’t know about Mercer’s political interests or his ultra-libertarian, minimalist-government goals. Magerman is the first to admit that he has a tendency toward anxiety, a combative disposition and a sense of moral righteousness. He’s fond of talking about the time, years ago, when a colleague he was visiting summoned a helicopter to his estate to whisk them into Manhattan. There was no life-or-death reason for the extravagance, not even a business emergency. They were just going to a dinner, he says, and his friend rented the chopper to avoid the bother of traffic. From the helicopter, Magerman saw his fellow citizens travelling along a thin ribbon of perfectly good highway below. It became a seminal moment in his life that he replayed for me in a series of short bursts. Magerman calls that helicopter trip “extra-societal” and “outside the realm of normal behavior,” words that also fit what he believes is wrong with Mercer’s relationship to the president. Magerman thinks Mercer has bought special access to impose “extra-societal” views on the Trump administration. Magerman, who now spends much of his time at his sprawling estate in the wealthy Philadelphia suburb of Merion Station, is uncommonly thoughtful about the impact on U.S. political life of rich people like himself, and especially the ones he calls “the instant billionaires,” like Mercer. “The ultra-wealthy of today differ from the ultra-wealthy in past eras in that they have, a lot of them, no stake in the infrastructure of society,” Magerman said. 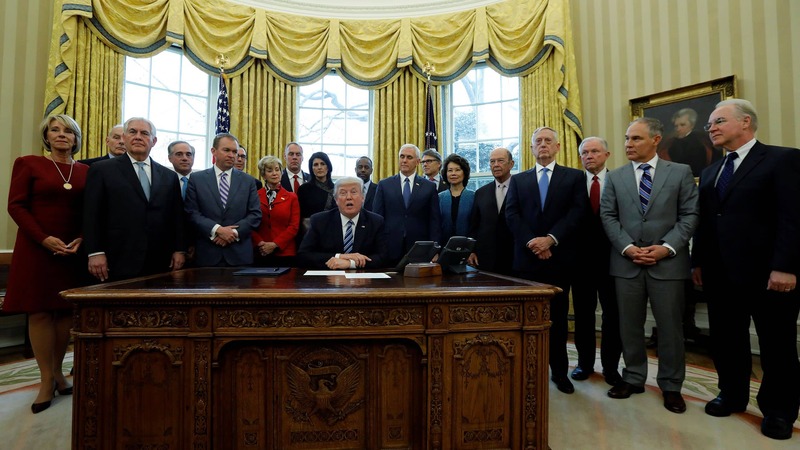 He’s seen that their wealth does not depend on the health and stability of the country. In fact, they get rich on volatility and instability. “It’s not like you’re working for [big banks such as ] Chase or Wells Fargo, in a very well-regulated and huge industry” with obvious policy aims. Mercer’s company, Renaissance Technologies, employs a select group of people who are seemingly capable of making money from nothing. Mercer is not a finance guy; he is a computer scientist. But his research developing speech translation programs through pattern recognition can apparently also be used to discover obscure patterns in the financial markets and make an enormous fortune — as he and his team have done. Renaissance became what some believe is the greatest hedge fund ever by looking down its nose at the methods of people actually trained in finance. The truly awesome money machine at Renaissance is a private fund called Medallion, which is only open to Renaissance employees. According to a Bloomberg report, “Medallion has pumped out annualized returns of almost 80 per cent a year, before fees.” Even in a bad year, it churns out more than 20 per cent returns. But in the course of our conversations, Magerman made a provocative observation: The problem that Renaissance Technologies faced trying to predict market behaviour is, he said, essentially the same problem that Cambridge Analytica faces in voter analysis and persuasion. Data analysts are largely skeptical that Cambridge Analytica could have had a decisive impact on the 2016 U.S. election or the Brexit referendum, but Magerman brushes that off with a reminder that so-called experts were also skeptical that computer algorithms could predict financial markets. “They said there is no way they can do that with the data available,” he said. And yet, there’s Medallion, with its unheard-of nearly 80 per cent annualized returns. There&apos;s Cambridge Analytica, on the winning side of two political upsets. And there is Mercer, a brilliant scientist at the helm of both companies. In January 2017, before Trump’s inauguration, Magerman called Mercer to chat about politics and the new administration. He wanted to persuade Mercer to withdraw support from Trump. White people have no racial animus toward African-Americans anymore, and if there is any, it’s not something the government should be concerned with. Magerman felt he couldn’t keep that to himself. “I really thought I was just going to let people know what I know and that would be the end of it,” Magerman said of his decision to do an interview with the Wall Street Journal, which amounted to a warning flare about Mercer to anyone paying attention. Magerman, having cleared his conscience in the Wall Street Journal, expected to go back to work at Renaissance Technologies. Instead, he was suspended. “If they hadn’t suspended me, I think the story would have kind of died quickly,” he said, but that’s probably not true. After the article appeared, Magerman continued to talk to the media. After that, Magerman’s suspension was made permanent and he sued his boss for wrongful dismissal. Famously publicity-shy, Mercer did not welcome any of this attention, but he also began distancing himself from Steve Bannon. In November, he sent an email to staff at Renaissance Technologies to try to reassure them about the lawsuit and the scandal swirling around the company. He said he didn’t intend to impose his political views on anyone else, but that he believed ”individuals are happiest and most fulfilled when they form their own opinions, assume responsibility for their own actions, and spend the fruits of their own labor as they see fit.” That’s why he supports conservatives, he said, because they believe in smaller government. He said that he did not share all of the views of Steve Bannon and that he’d passed his share in Breitbart along to his daughters. The email read as though politics were just a hobby he’d put behind him because it no longer held his interest. Mercer&apos;s daughter Rebekah was part of the transition team that helped Trump choose his cabinet. I asked Magerman if he was the anonymous employee behind the quote. He said he couldn’t remember saying it, but it certainly sounded like something he would say. Of course it does. One of Magerman’s cautions about “instant billionaires” is that they really don’t understand what the government is for. They didn’t get rich by providing the goods, services and infrastructure that bring people into direct contact with their community and its interests — they got rich in financial markets, making money for the sake of it. It’s hard to imagine that Mercer would be unhappy about any of that given his thoughts about the size of government and the observation that he “wants it all to fall down” — and especially since his daughter Rebekah was part of the transition team that helped Trump choose his cabinet. It’s the government Magerman feared Robert Mercer was angling for, the one Magerman paid a big price for trying to warn us about. Magerman’s own future is uncertain, though not insecure. He’s got enough money to live luxuriously and not work another day in his life. Plus, he’s been experimenting in the food and beverage industry with a couple of glatt kosher eating spots, and he’s long been an active and generous philanthropist in the Jewish community. But he misses the passion he had for the problem-solving work he did at Renaissance Technologies. It seems inevitable that speaking out against his boss will cost him significant income, but he’s proud that acting against his self-interest inevitably bolstered his credibility.